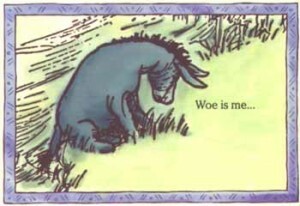 Eeyore, the always-pessimistic plush toy donkey from A.A. Milne’s cast of characters featured in his Winnie-the-Pooh children’s stories. 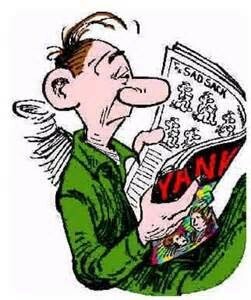 Sad Sack, an inept, perpetually downcast U.S. Army private, appearing in Yank magazine. 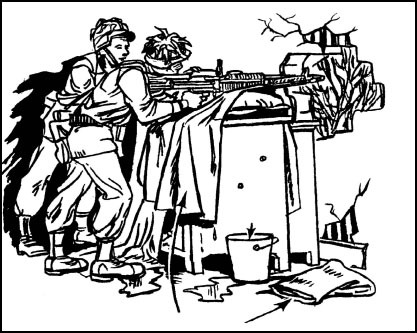 Private Sad Sack was created during World War II for our troops’ amusement. 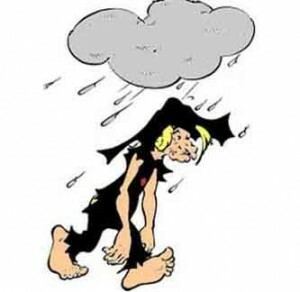 “Joe Btfsplk,” the most unlucky denizen of Dogpatch, featured in the newspaper comic strip Lil’ Abner (1934 – 1977). Mr. Btfsplk was so downbeat he travelled with his own black cloud overhead. I always thought the idiom “wet blanket” arose from the cold discomfort someone would feel when covered by a sodden blanket – imagine sitting in the bleachers watching a high school football game, wrapped in a blanket, when suddenly a shower shows up. Or being on a beach on the Cape on a cloudy, windy, chilly day, with a damp beach blanket as your only protection from the elements. Brrrrr. Not comfortable. Real close to a buzz kill. But the real beginning of the expression “wet blanket” goes back at least to the 1660s, according to the Online Etymology Dictionary when it refered to a simple way to fight small fires. The solution? Keep a thoroughly wetted blanket handy as a way to smother a sudden flare-up, especially in confined spaces. 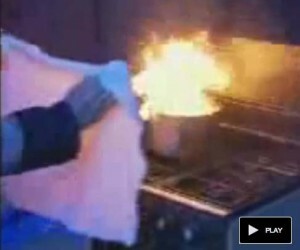 The above is raw video of a demonstration on how to put out a cooking oil fire by using a wet cloth. Footage must be from “across the pond” because of the type of firefighter helmets being worn, plus another giveaway is that the segment is titled “How to Safely Put Out a Chip Pan Fire” (as in fish and chips). Godey’s Lady’s Book and Magazine. 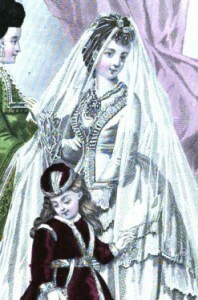 A fashion plate from Godey’s Lady’s Book and Magazine. More than 200 years later, the term appears in an article titled “Wet Blankets,” in Godey’s Lady’s Book and Magazine, February 1871, and here it is clearly used in the same idiomatic sense as it is today. This American monthly magazine, which by 1860 had a circulation of over 150,000, was known for its beautiful hand-tinted fashion plates (illustrations of the latest women’s fashions). The magazine contained accompanying dressmaking patterns for its featured dresses. Also included was sheet music for popular tunes. In addition, Godey’s published contributions by Edgar Allan Poe, Nathaniel Hawthorne, Oliver Wendell Holmes, Washington Irving and other famous authors of the time. Another use of a wet blanket. Above, arrows point to use of wet blankets. “Weapons emplacements should use a wet blanket canvas, or cloth to keep dust from rising when the weapon is fired.” From “Combined Arms Operations in Urban Terrain,” Department of the Army, Washington, DC, 28 February 2002. … let us watch the video below, which is part of an online “Learn English” video course. I couldn’t demonstrate the meaning of the idiom any better myself. From EduEduOnline Szkoła JezykowaJezykowa, April 1, 2012. Disney-quality animation it’s not, but note how the flat audio and dull artwork makes the video a deadpan example of “wet blanketry” by itself. Pretty droll, at that. This entry was posted on Friday, October 30th, 2015 at 2:47 pmand is filed under . You can follow any responses to this entry through the RSS 2.0 feed. You can leave a response, or trackback from your own site.